The set up of a conformal coating production line regardless of the application method has many similar characteristics. Any coating facility will need the basic requirements put in place that would be standard for any piece of electronic manufacturing process. These include ESD systems, facilities for the machines, the environmental requirements and the normal Health & Safety (HSE) considerations. Also, the conformal coating production line, whether it is an operator manually brush coating printed circuit boards (PCBs) or an inline robotic spray coating process is typically made up of several stages. Not all the stages are mandatory or may be required. However, each should be considered on an individual basis. Want to find out more about setting up a conformal coating facility? Download our technical bulletin on setting up a conformal coating application process. Or, contact us to discuss your needs and let us explain how we can help you. A polyurethane (urethane for short and designated UR by IPC) conformal coating is part of the organic family of coating materials that also includes the acrylic and epoxy coatings. Most conformal coatings provide good humidity and moisture protection although some are slightly better in performance than others. UR type coatings are just as good on average as acrylic materials. A polyurethane coating has traditionally been used to protect electronic circuit boards against chemical attack due to their excellent chemical resistance. This protection allows electronic circuit boards to survive in highly aggressive environments and atmospheres such as the aerospace, military and industrial sectors. However, it does make repair a little more difficult as chemical resistance to a coating means more difficult to remove. Times are changing and whereas acrylic conformal coatings used to dominate 70-80% of the market, there is a shift in emphasis towards alternative materials due to higher specifications for protecting electronics. Many new conformal coatings (UV cure, two part thin film coatings) now comprise of urethane resin bases and are becoming more popular in high volume sectors such as automotive electronics. This is because the urethane resin lends itself to this type of technology more easily than the acrylic based resins. Want to find out more about polyurethane conformal coating? Masking time is reduced. Masking boots can be 4-5 times quicker than masking tape. Find out how we can help you with your conformal coatings now. Contact us to discuss your needs and let us explain how conformal coatings could work for you. Conformal coating batch spraying is one of the most widely used processes in low and medium volume production. Using the right equipment like a conformal coating spray booth is very important. The spray process gives the best finish of coating. It produces the perfect finish and causes fewer issues of thin tip coverage compared to other methods. The conformal coating spray booth is designed for coating application. It has built-in features like a UV light which help the operator apply the best coating. Contact SCH Technologies now to discuss how we can help with our conformal coating spray booths that are used in our coating services. 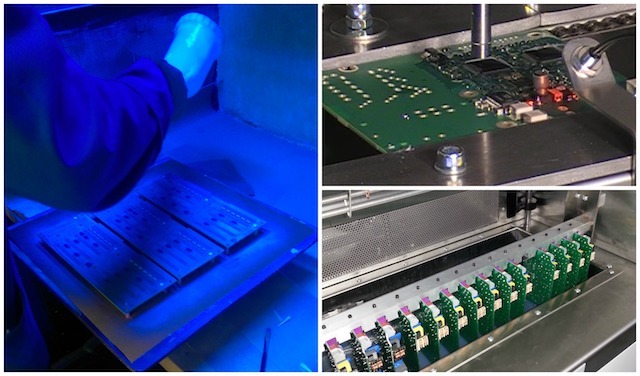 Conformal coating inspection is one of the most critical aspects of the process. A good inspection process ensures the coated circuit is correctly coated or finds the faults in the process. However, inspection is not an easy process. Operators can become tired and suffer from eye strain from constantly staring at coated boards under UV light. One way to minimise this fatigue is to inspect under a UV lamp that also provides a small amount of magnification. When this is in the range of 1.5x to 2x it can make all the difference to the operator and give more reproducible results. Contact SCH Technologies now to discuss how we can help with our NEW UV Inspection lamp specifically used for conformal coating inspection and used in our coating services. You can dip many boards at once. It can be the fastest conformal coating process of all the methods. It is an extremely simple process. Hang the circuits, press a button and the boards are coated. The process is very repeatable. Once set up the conformal coating thickness will be constant with very few process controls. The conformal coating penetrates underneath components. This gives complete coverage. The boards are coated both sides simultaneously. This halves the process time. Or contact us now at Sch technologies. Conformal Coating made simple…. How do I measure the thickness of a conformal coating on a circuit board for my selective robot process? Both the old and new IPC test standard state you can measure the coating thickness on circuit boards using test coupons. One of the best methods for measuring coating thickness repeatability is by measuring a test coupon rather than the PCB itself. The principle works that you produce a golden board on which you are happy. 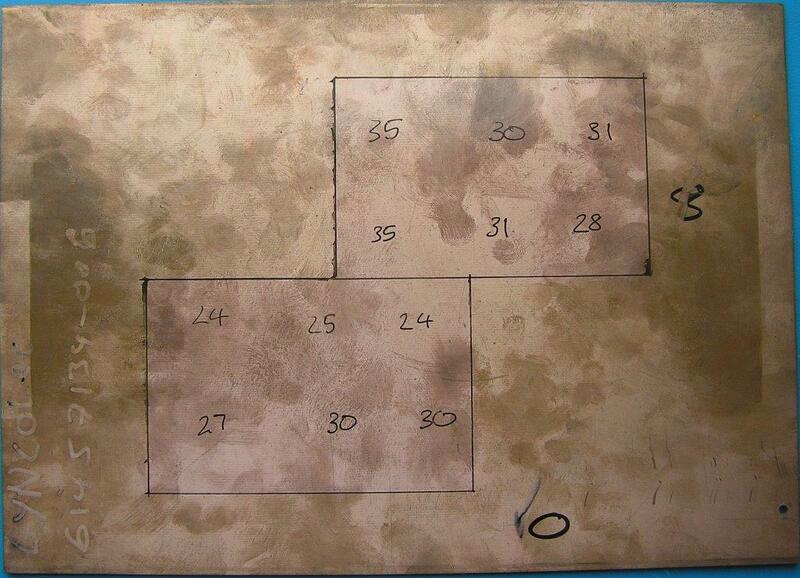 Then you spray the same pattern on a test coupon (metal plate is ideal). You measure this thickness in a variety of places and this is your test data. From that moment on you can then decide how much range the coating thickness can vary and measure it against future test coupons. It will only tell you if there is variation away from the golden board quality but it is a great indicator. The test coupon shown shows the trace for a selective non atomising robot. You can see in the test pattern image there were two squares drawn and the thickness is written on the traces in microns. It’s a great indicator of process control. The measurements were then made using a Positector 6000 coating thickness system. 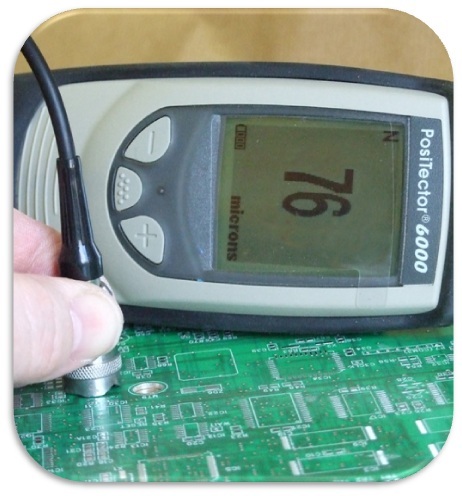 Measurement of the conformal coating is taken after application is complete and the coating is dry enough to handle. The test is achieved using a non contact technique using eddy currents. The Positestor 6000 is extremely quick and accurate to ±1 um at thin films of 25-50 um. For further information on conformal coating thickness testing contact SCH to discuss your needs.